Recently, a unit of ZLSP-R 300B wood pellet manufacturing equipment was exported to Thailand. It was ordered by one of our old client. He has bought one unit of the same model last year. As the pelletizing result is very satisfied. He reordered one unit a few days before. 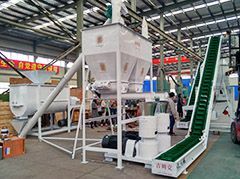 In this order, the color of the pellet equipment was required to be changed to green, since he said that green is more suitable for local market. The details of the customized small wood pellet manufacturing equipment are show in the following photos. 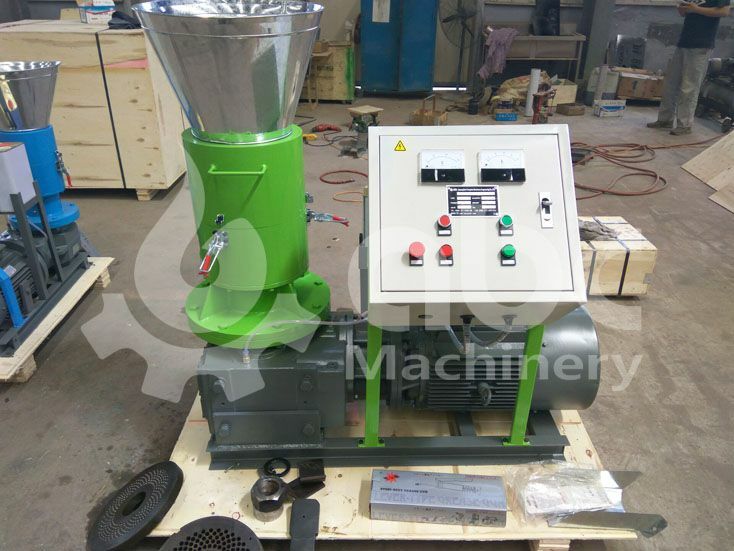 This wood pellet machine comes with an electric motor that has been designed keeping in mind the importance of keeping “dry in dry out” and to meet this purpose, can finish processing the pellets at one time. 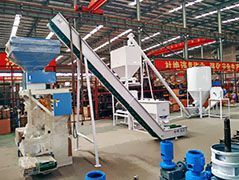 The list of raw materials that can be processed by the wood pellet making equipment are: Rice Hull, Bamboo, Wood Shavings, Sawdust, Waste Paper, Wood Sticks. Other Bio-mass materials would include: Manure, Hops, Paper, Grass, Straw, Wood, Sawdust. 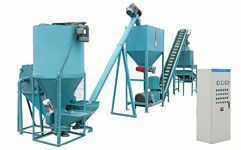 There are 2 main types of pellets manufacturing equipment serving 2 different functions, used for processing different raw materials and both having different operational mechanisms. The D-type usually refers to the rotating die type in which the roller is fixed and the die is rotating with the main shaft. The raw materials that are used in this process usually include: Pine, Fir, Cypress, Larch, Basswood, Corn cobs and stalks, Rice straw, Cotton straw, Rice husk, Peanut shell, Bamboo Powder, Hemp Fiber, Waste Paper, Sunflower Husk. 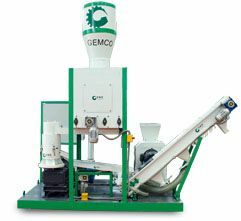 The R-type pellet manufacturing machine works exactly inversely to the D-type. This essentially means that in this case, the roller is rotating with the main shaft and the flat die is fixed. It is considered as a more advanced version of the D-type model. The raw materials used in this process include:Oak,Birch,Cypress,Elm Tree, Basswood, Cherry, Larch, Maple, Poplar. The R-type machine has a capacity of 80-800 kg/h, making it the ideal choice for industrial use and consumption. The working of this small wood pellet machine is fairly simple making each component work in perfect sync with each other. The parts include a roller, die, adjusting bolt, round nut, locking ring, hopper, main shaft, blade and an electric controller cabinet. The electric motor is what rotates the main shaft causing a friction between the die and the roller thereby compressing the raw materials into small holes of flat die. When the pellets are extruded on the other side of the die, the blade cuts them into the desired size. Low energy consumption as service time varies from 600 h to 800 h.